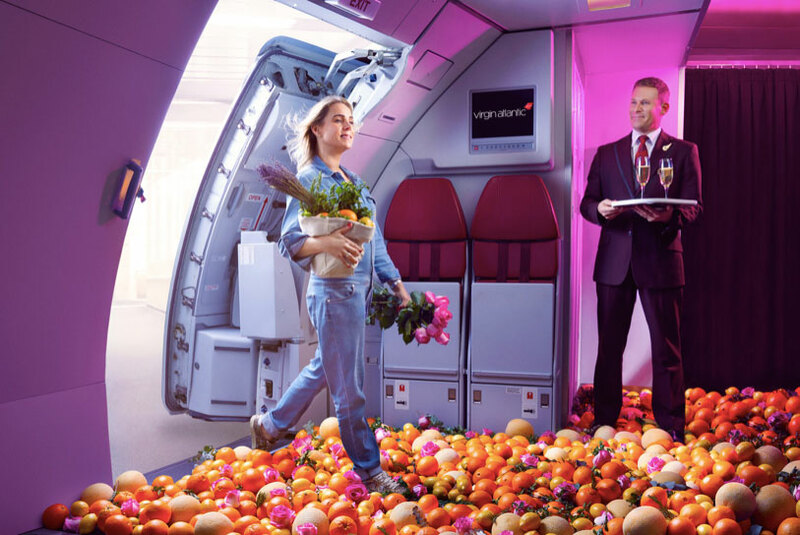 Virgin Atlantic has collaborated with esteemed British scent designer and candle chandler Rachel Vosper to design a bespoke scent to elevate the customer experience, on the ground and in the air. The unique fragrance embodies warm and exotic notes inspired by the airline’s top destinations, and will be present at various points throughout the Virgin Atlantic experience to inspire feelings of adventure and relaxation. To bring the scent to life, Virgin Atlantic teamed up with leading scent expert and candle connoisseur Rachel Vosper to design AIR. A fragrance with a sense of exploration and vitality at its heart, using bespoke ingredients to take customers on a sensory tour around the world. With notes of lemon, rose, vanilla, and essential oils such as lavender and eucalyptus, the scent captures the four continents of Virgin Atlantic’s most popular routes. Through the luxury candle version of the AIR fragrance, customers will also have the chance to enjoy the fragrance at home. The uplifting aroma is currently being rolled out at check-in, airport gates, Clubhouses and upon boarding.